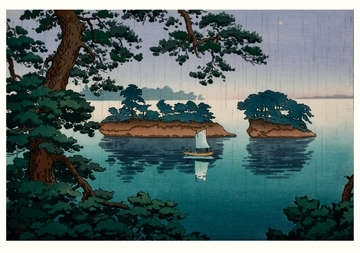 Published with Art Gallery of Greater Victoria. Purest of poems, a haiku contains in its seventeen syllables a seasonal allusion as well as a distinct pause or shift. Cherry blossoms and swallows mean spring; red maple leaves and deer convey autumn. 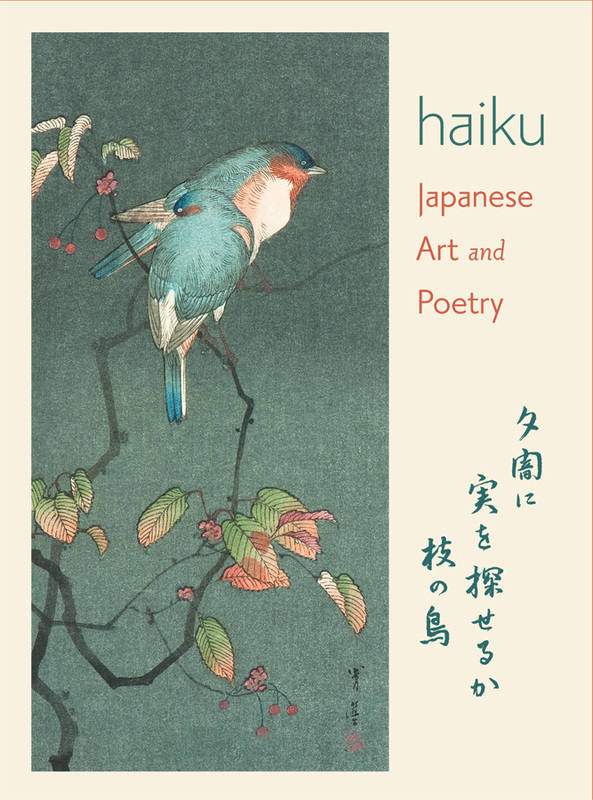 Nature and its ephemeral beauty—this is haiku. 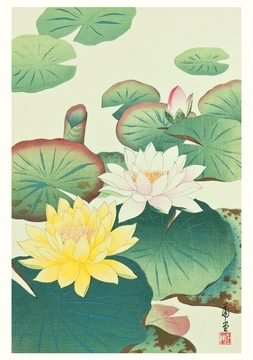 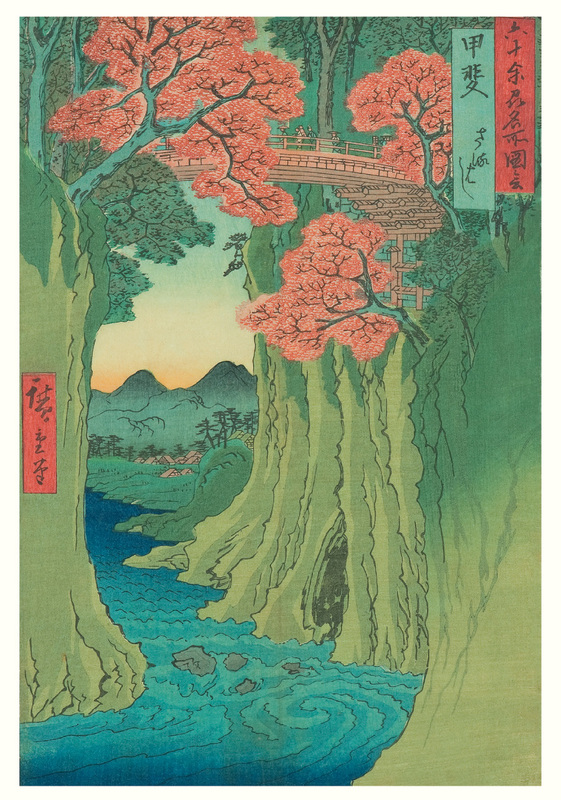 Japanese woodblock artists have often drawn their water from the same wells of creativity used by haiku poets. 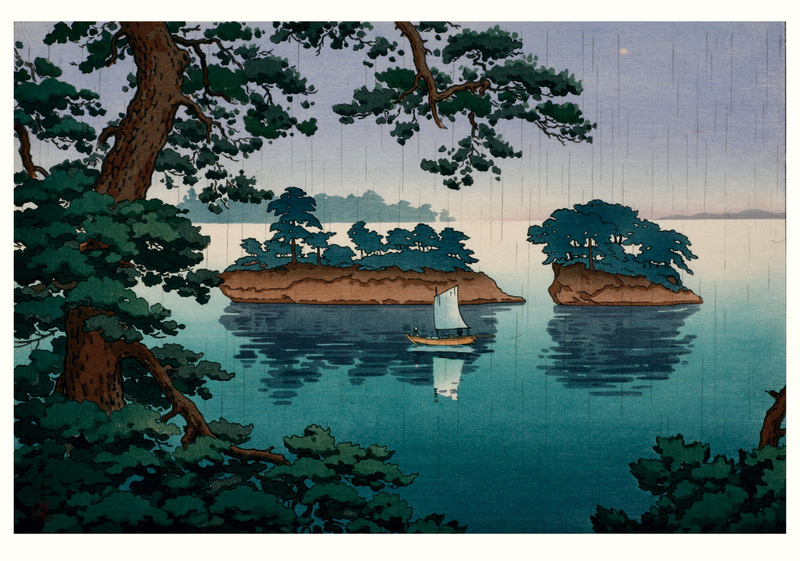 A pleasure boat on a moonlit lake, a dozing bird beside a turning leaf—it should surprise no one that Bashō, greatest of haiku poets, was an accomplished painter. 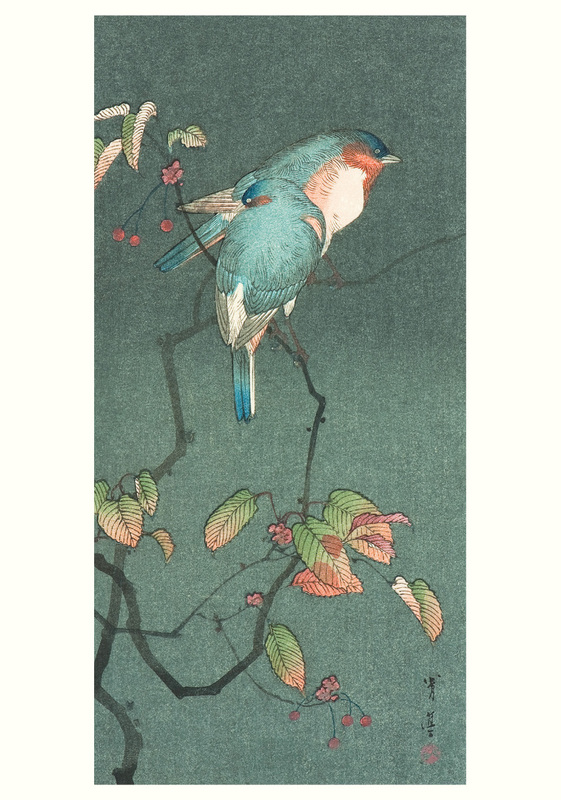 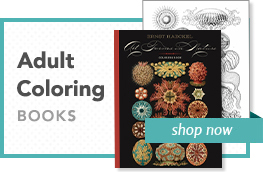 Paired here are haikus old and new, prints from the mid-nineteenth and mid-twentieth centuries, all found in two Pomegranate books: Haiku: Japanese Art and Poetry and Shin Hanga: The New Print Movement of Japan.